With hundreds of makeover programmes on TV, it seems the norm to repaint your walls rather than do a traditional spring clean. DIY stores are open 7 days a week, 364 days of the year and are stacked high with every colour and finish paint you could ever wish for. But is making your walls look pretty safe? Conventional paints release low level toxic emissions into the air for years after application. The source of these toxins is a variety of VOC’s (Volatile Organic Compounds). This is what gives paint its distinctive smell. VOCs contribute to air pollution and are contributed to sick building syndrome, asthma, headaches, nausea, skin, throat and eye irritation and dizziness. They are also linked to cancer, birth defects and damage to liver, kidneys and nervous system. One would think that the alternative solution would be to opt for a paint with low VOC rating. Unfortunately, some of the low VOC paints contain more of other harmful chemicals such as alkyl phenols (hormone disrupters) and vinyl resins (carcinogenic skin irritants); so they do not equate to a healthy choice. Other ingredients in conventional paint include heavy metals, acrylic softeners and fungicides. If you have any paint in your home that you suspect was around before the 1960s, it is vital that you check for lead. Details are available on the DEFRA site for how to decorate safely if you suspect you have old lead paint. Painting and decorating is so hazardous that it has been described as a “carcinogenic profession” by the World Health Organisation. DIY-ers are exposed to the same risks, albeit at a lower level. It is difficult to make an informed choice regarding paint products as many suppliers do not disclose their product ingredients. The labelling legislation makes special provision for paints, in many cases removing the requirement for the well recognised orange and black hazard symbols. The German based ‘Registered Association of Natural Paint Manufacturers’ (ENAV) and the European Union Ecolabel both ensure quality from their associated manufacturers of more natural paints. As well as looking out for these quality assurance symbols, choose a company who are happy to disclose their ingredients. This ensures that you are buying a product made with less toxic ingredients, designed to have minimum negative impact on the environment and your health. The European Parliament has recognised paints as ‘hazardous’ and approved a bill to reduce the amount of environmentally damaging VOCs found in paints. The bill came into force in two stages on 1st January 2007. Last year 400 million litres of paint were sold in the UK. Of this, it is estimated that approximately 80 million litres are unused, stored in homes or garages or just thrown away. Community RePaint provides a solution to this problem by providing an outlet for unwanted reusable paint while helping local communities and individuals. Alternatively, donate it to Freecycle. As a last resort, dispose of it properly at your local recycling centre. Do not pour it down the drain. Fortunately, there are plenty of natural alternative paints and pigments around to choose from. People are often put off by the price, but the hidden costs to you and the environment is much less. Natural paints are a pleasure to work with, rather than something that causes you distress and pollutes the atmosphere. Natural paints are biodegradable and made from renewable sources, meaning they are much more gentle on the environment. Most are based on linseed, clay, lime or milk for hardening and drying. 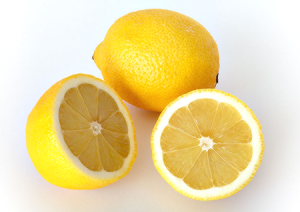 The solvents used are usually citrus peel and naturally distilled turpentine and they do not contain VOCs. Additionally, natural paints allow the walls to breathe; making for a far healthier environment. Earth Born Paints: The choice of the National Trust, Earthborn consider environmental impact during manufacture, application, disposal and lifespan. Ieko: You can dispose of unused paint safely on a compost heap and they will happily disclose their ingredients. used to tint Casein or Emulsion, Colourwash or Glazes, even mixed directly into plaster.